. 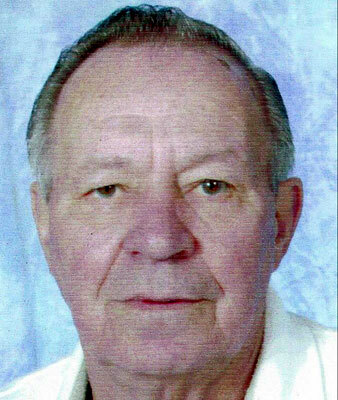 He worked as a body shop foreman for Canfield Market Motors for 40 years, was a retired member of the New Middletown Farmers and Sportsman Clubs, and in his life, he enjoyed boating, fishing, target shooting and spending time with his family and friends. His wife, the former Dorothea R. Gilboy, whom he married Jan. 28, 1956, passed away June 6, 1999. He leaves to cherish his memory, his daughter, Cheryl C. (William) Ference of Boardman; granddaughter Tiffany Ference; life partner, Elaine Miokovic and her son, Jim Orr; sisters Dorothy Baksa of Campbell, Joan Woalard of Las Vegas, Gaye Dunkel of Boardman, Vera (Robert) Reese of Canfield and Mary Connell of Oklahoma; and a brother, John Brisbee of Campbell. Please share your memories of Howard.